ATLANTIC CITY, NJ — Caesars Atlantic City Casino has started using Core Technology’s unique iFinder wayfinding kiosks to enhance and personalize the resort and gaming experience for guests. Interactive touch screen kiosks strategically located around the property deliver complete virtual concierge services for guests, serving up on-demand information on dining, entertainment, and other resort services. The kiosks also allow gamblers to search for favorite slot machines or table games, and immediately get visual directions to them. The casino is already logging more than 2,500 unique user sessions each week on multiple iFinder units deployed around the property. Harrah’s Resort City, also in Atlantic City, has been using the iFinder kiosks since 2007. 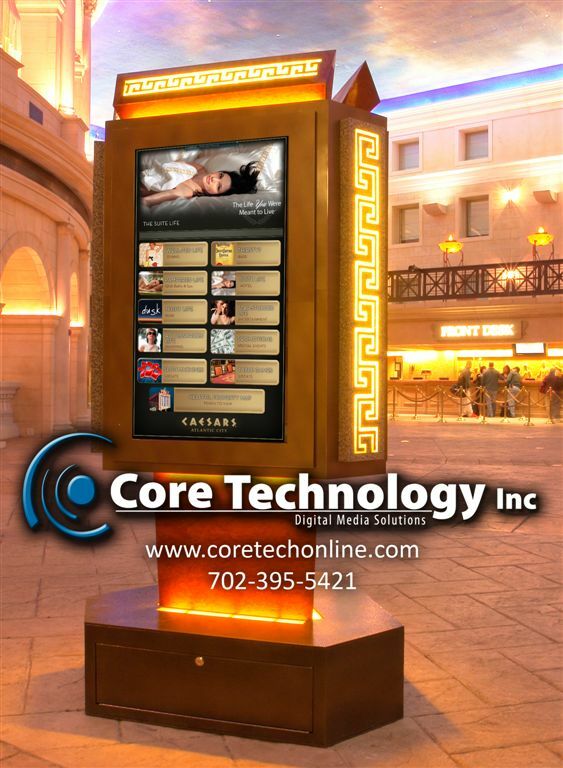 Caesars implemented the wayfinding kiosks with strategic guidance from their Las Vegas-based technology integrator, Core Technology. Costs for the program are covered by exclusive digital product placements on the kiosks by beverage companies. The beverage brands use marketing dollars to get their message in front of resort guests at times when purchasing intentions are high. Core Technology provided project management, network engineering and full implementation management for the system installation. Core customized Jupiterbay’s Fusioncast software for the project, making it a full resort Virtual Concierge application. Core and Chicago-based Jupiterbay jointly developed the “Slot Finder” application for casino use. 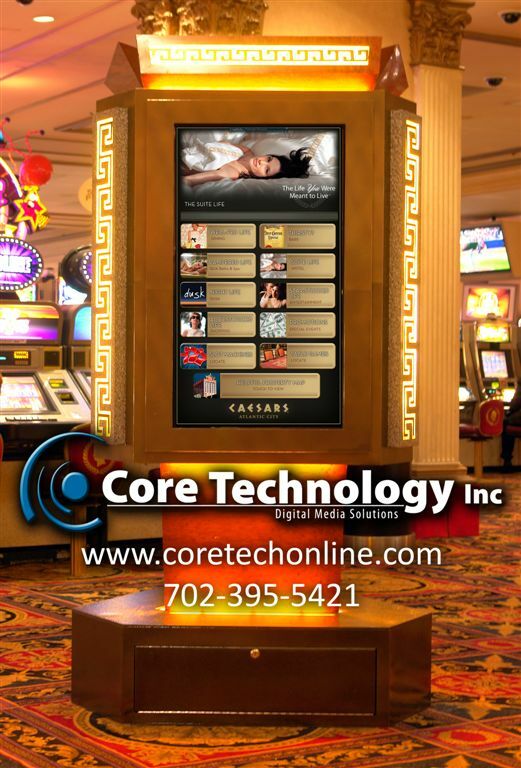 Core Technology has a long history of working with casino groups to develop unique guest solutions that minimize support needs and operating overhead, and keep capital investments low. Other properties with digital programs developed by Core include the Hard Rock Hotel and Casino in Las Vegas. This entry was posted in Digital Signage, Hotel/Casino, Wayfinding and tagged Casino, DT Research, DT170, FusionCast, iFinder, InfoChannel 5, Jupiter Bay, Wayfinding. Bookmark the permalink.